By Frances van Tassell Ed.D. and Betty Crocker Ed.D. 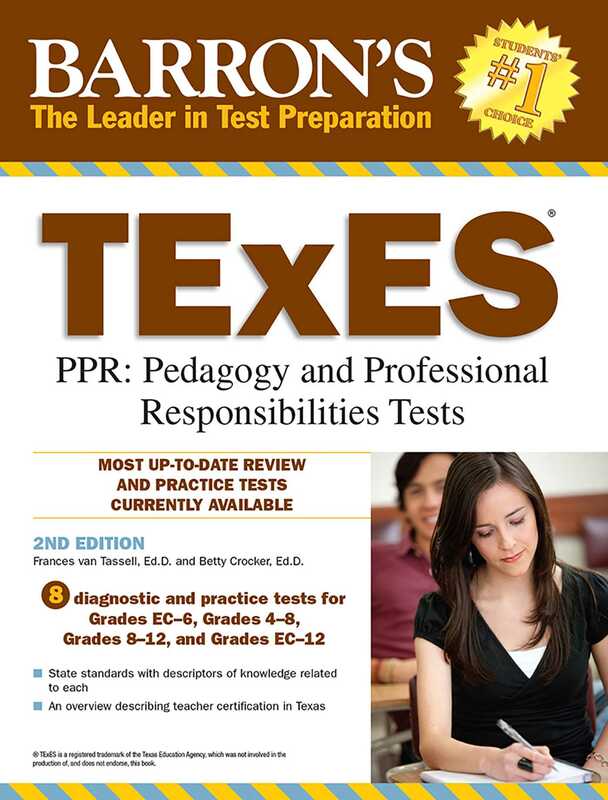 This updated manual prepares prospective elementary and secondary school teachers in Texas for the TExES PPR certification exam. An introduction and explanation of teacher certification in Texas is followed by detailed advice on test-taking strategies and a self-assessment guide. Chapters that follow cover the Standards, Knowledge, and Skills Components of the TExES Professional Practices and Responsibilities Exam. A total of eight diagnostic and practice tests are presented for Grades EC-6, Grades 4-8, and Grades 8-12. These tests also apply for the for Grades EC-12 test. The tests are followed by scoring guides and a self-analysis framework. Explanations are given as to why one answer is the best among the choices and other responses are not. The authors also suggest sources for additional test-preparation help, including a glossary, web sites, and printed resources.